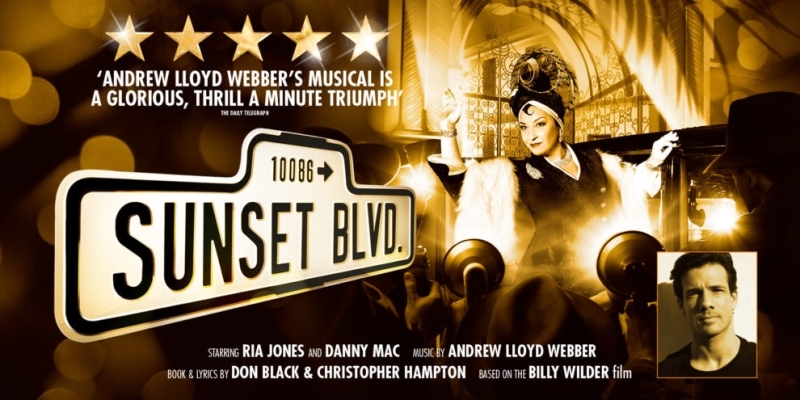 Hollywood glamour comes to the Bristol Hippodrome in the form of Andrew Lloyd Webber’s award-winning show, Sunset Boulevard. This stage adaptation is a gorgeously plush production, based on the Billy Wilder film noir. It is a tragic tale of penniless writer, Joe Gillis (Dougie Carter) who winds up dead in the swimming pool in one of Hollywood’s finest neighbourhoods. Played out amongst numerous stunning stage sets, this wildly accomplished cast transports the audience back to the bustling Paramount studios in the 1940s. Whilst running from his debt collectors, Joe unwittingly gets drawn into the sad fantasy world of faded silent screen siren, Norma Desmond (Ria Jones). After 20 years in the movie wilderness, Norma still dreams of her sensational return back to movie stardom and into the arms of her ever-loving fans. 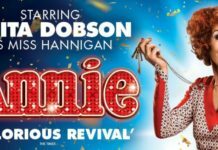 Ensconced in her crumbling mansion with only her devoted butler, Max (Adam Pearce) for company, Norma believes she has written her own sensational comeback hit movie. When fate sends her a young screenwriter, she ensnares him with her desperate longing to grasp again at her hay-day glory and enlists his assistance. Hope appears in the form of young Betty Schaefer (Molly Lynch), a script reader who believes that one of Joe’s earlier screen plays shows potential. She begs him to work with her to bring it back to life but Joe proves a difficult man to pin down. Trapped within Norma’s ever tightening clutches, he struggles to accept in his gilded, imprisoned reality. Despite all the luxuries money can buy, Joe finally snaps and in one final bid for freedom, meets his shocking end. 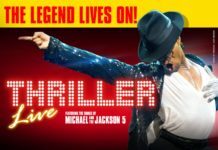 This production is full of drama and mounting tension and is beautifully carried along by an incredible live orchestra. It is a tragedy, with an almost operatic feel, narrated by Joe, as he explains his sorry tale and exposes the ugly swamp of drive and ambition within the movie business. At the same time, he casts a glaring spotlight on Hollywood’s distorted reality, narcissism and mental fragility. Ria Jones is unbelievably delicate, yet bullish, in her moving portrayal of Norma Desmond. Her costumes, headwear and make-up are just incredible at encapsulating this woman’s lavish denial of her progressive years and Hollywood’s heartless disposal of women after their prime. Ria sings, dances and acts her way throughout with hypnotic conviction and her portrayal, particularly at the end when she completely unravels, is very touching. Dougie Carter also puts in a sterling performance as this weak, manipulated and directionless man, caught in a storm. 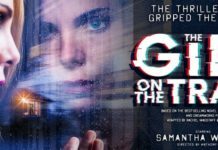 Another fantastic voice to grace the stage and a hugely convincing portrayal of manipulation, frustration and despair. Adam Pearce as the devoted Max, later revealed to be Norma’s bewitched former director in her early movies and also her ex-husband, blows us all away with his stupendous baritone voice and his quiet, unfailing adoration of his charge. His physical presence and strength, sharply contrasting with this soft, unwavering loyalty, deservedly secures him a place within the audience’s affections. But my personal favourite was Molly Lynch. Her role as Betty Schaefer weaves in and out through the main storyline. From her first appearance on stage, she is enchanting and beguiling and her voice manages to portray such purity and youthful innocence, you cannot help but fall in love with her. Absolute brilliance. I thought this was a surprisingly, captivating show. One not to be missed. Tickets cost from £18 to £60 (plus £4 transaction fee). Sunset Boulevard is at the Bristol Hippodrome from 9-13 January 2018, for more information or to book tickets visit www.atgtickets.com/bristol or call the box office on 0844 871 3012.